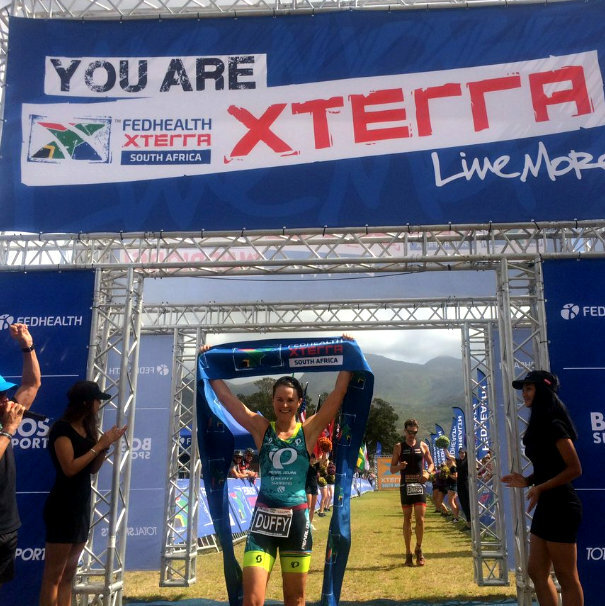 Bermuda’s Flora Duffy successfully defended her XTERRA South Africa Championship title today, racing to victory to claim her fourth consecutive title. Duffy — who is the reigning world champion — recorded a dominant victory, crossing the line over 6 minutes ahead of the next competitor, finishing in a time of 2:39:00. Mari Rabie of South Africa finished second in a time of 2:45:31, while Rachel Klamer of the Netherlands claimed third place in a time of 2:54:11. Great job Flora we are so proud of you. This girl is on FIRE !!!!!!!!!! So proud of Flora! Wow! Well done once again. The hard work is paying off big time! We’re so proud of you Flora! You are the hardest working champion! A great example to all Bermudian children that hard work, determination and grit pays off. Flora “Super Woman” Duffy does it again! Awesome job. I am so proud of you. Thank you, Thank you, Thank you. Congrats!